Many people choose to have eye surgery in the hope it will reduce the need for them to wear glasses post operatively. This is particularly true for those involved in work or sports that make the wearing of corrective eye glasses not only inconvenient, but potentially dangerous. In many eye conditions the surgery will improve the condition enough that the need to wear glasses may be permanently reduced. For other conditions particularly those involving children, the need to wear glasses may continue as the conditions that effect children often cannot be improved by surgery. What Conditions Will Need Glasses after Eye Surgery? If people have been wearing glasses before their surgery for conditions such as short and long sightedness, after eye surgery the problems that led to the need for glasses should be corrected and normal vision should be restored after surgery. For some conditions such as cataracts where the lens which is directly responsible for normal eyesight and vision is damaged, patients can expect to need to either have residual problems with long or short distance eye sight post operatively. However as many people are considered legally blind and may not be able to drive with cataracts, for these people, the dramatic improvement in their eyesight means the requirement to wear glasses is a relatively minor discomfort. Some surgical interventions may improve vision but may make the eyes more sensitive to sun glare and some people find they need to wear sunglasses most of the day, both in the house and outside it. 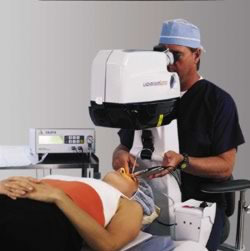 Some surgical intervention including laser surgery may provide significant improvement in vision but there may still be some residual blurred vision that may require glasses to be worn when reading or if engaging in close or distance work. The doctor performing your surgery will inform you what to expect post operatively and whether you will continue to need to wear spectacles. Will I Ever Need Glasses after Eye Surgery? It is essential to remember that many people experience failing eye sight as they get older so if eye surgery reduces or removes the need to wear glasses in the immediate post-operative years, it is possible that at some time later in your life, you may need to wear them again, either for a recurrence of the problem you currently have or for other problems due to the normal aging process. A few conditions may require the use of eye glasses in the immediate post-operative period but once the eye has recovered from the surgery, there may be no longer a need for glasses to be used. In most cases however, when surgery corrects a vision problem and glasses are no longer required, the patient can expect to have excellent vision without the need for glasses or other eye correction for years to come. Discuss the potential of a recurrence of your condition with your doctor when you are discussing the advantages and disadvantages of surgical intervention.